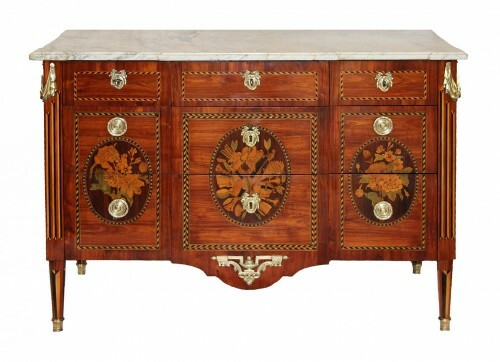 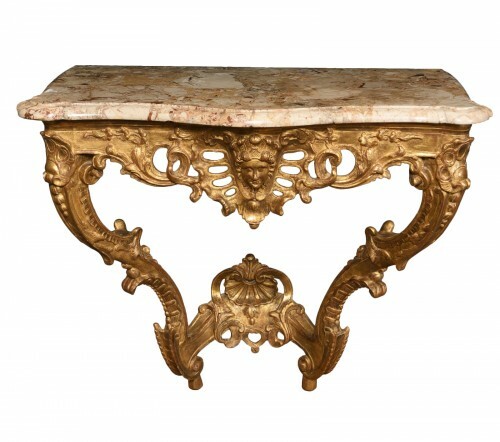 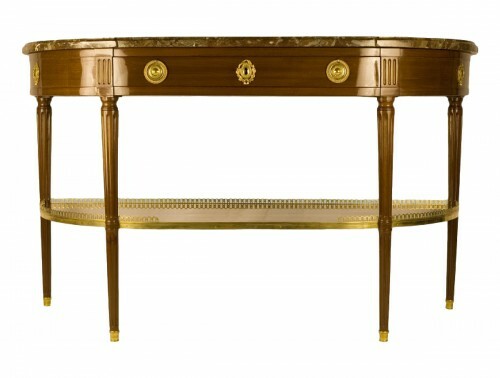 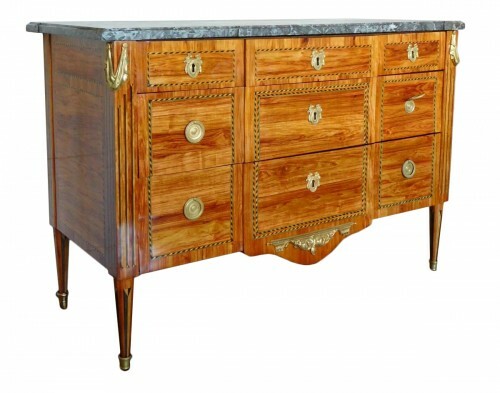 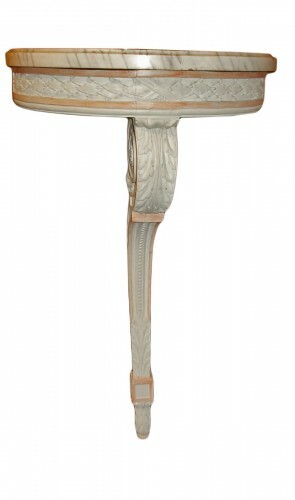 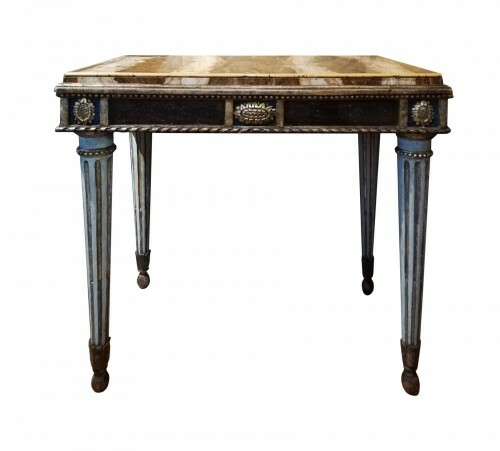 Louis XVI furniture affirms the definitive abandonment of rococo in favour of neoclassical. 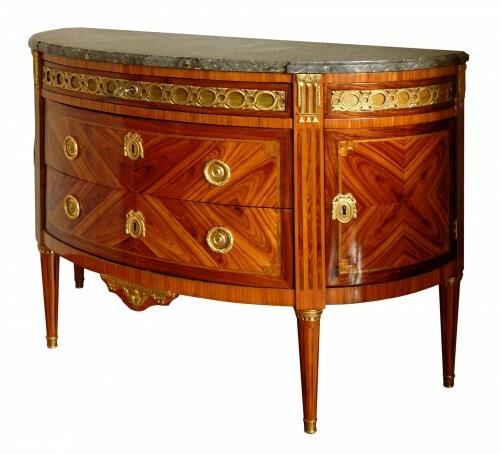 The few curves that persisted in Transition furniture are henceforth eschewed. 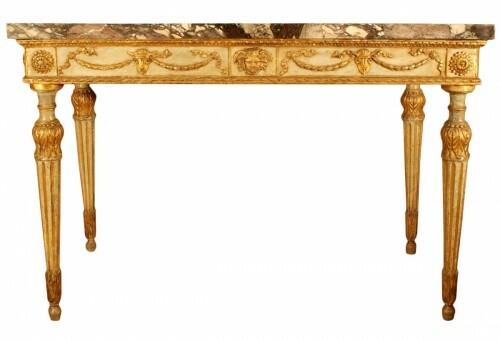 Louis XVI pieces have rectangular forms. 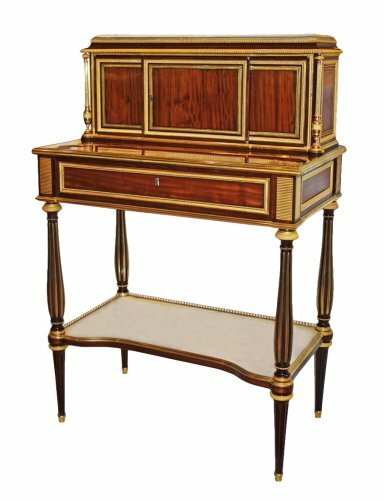 Following the discovery of the buried cities of Pompeii and Herculaneum, neoclassical fashion reinterprets the ornamental vocabulary. 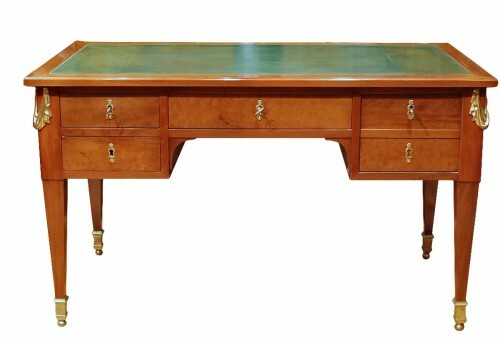 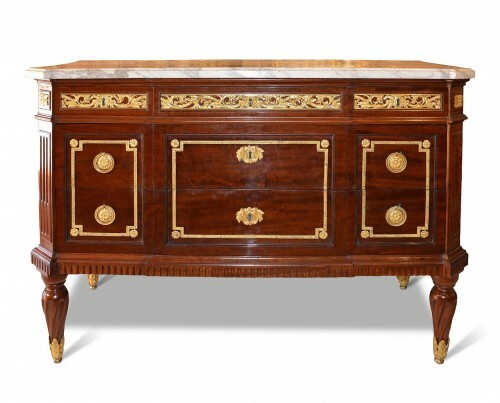 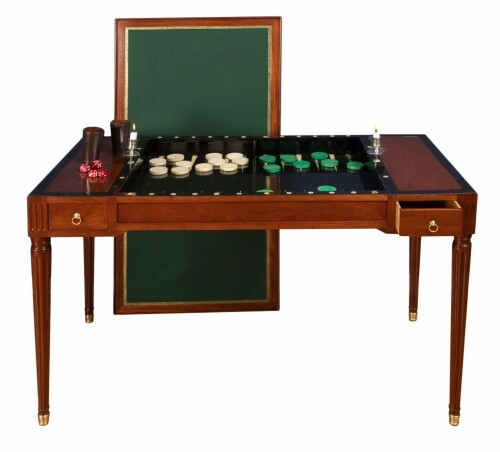 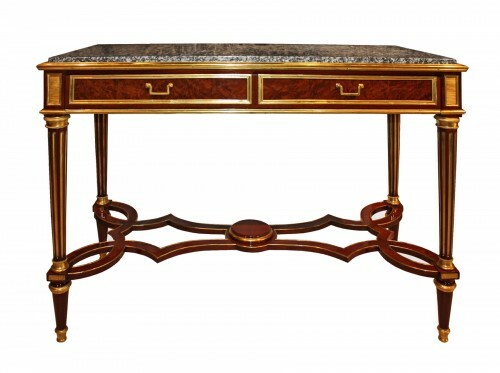 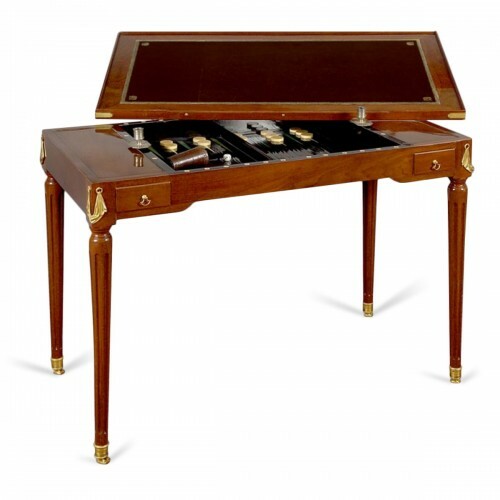 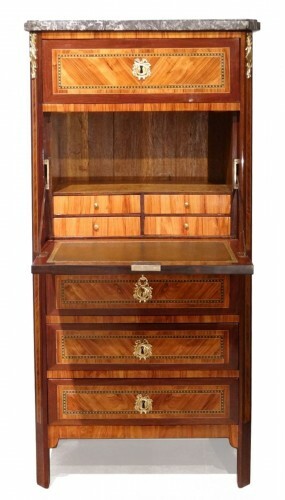 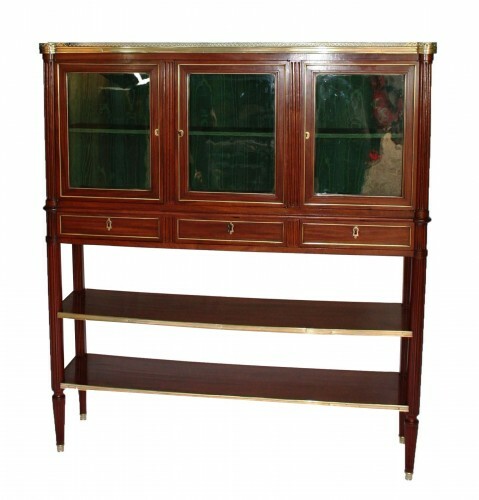 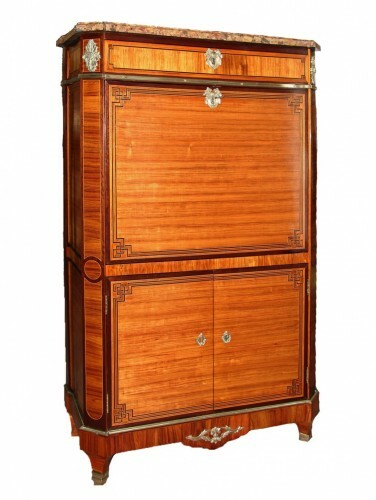 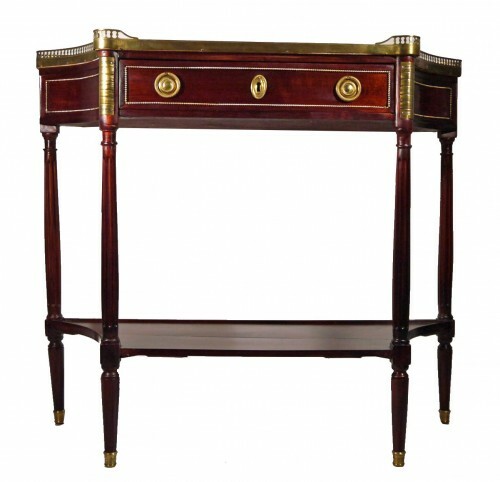 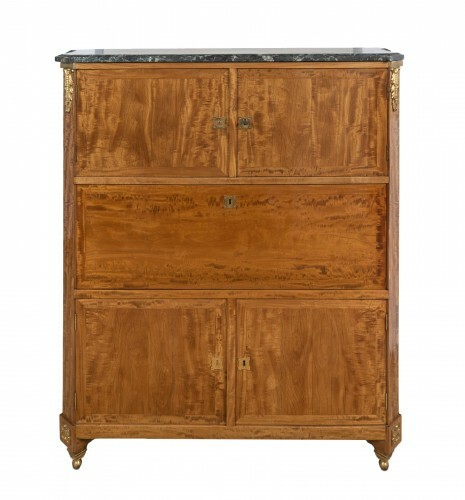 Wood veneering and in particular mahogany are the key woods of the style. 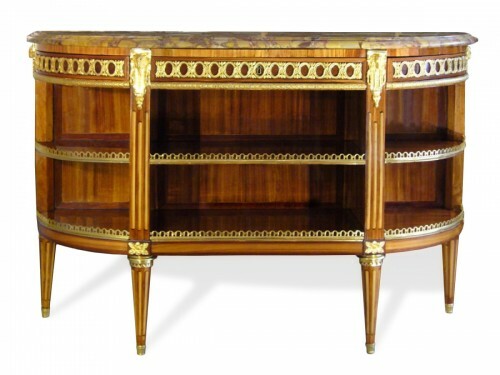 The most contemporary motifs are musical instruments, geometric shapes, pearls and ribbon bows. 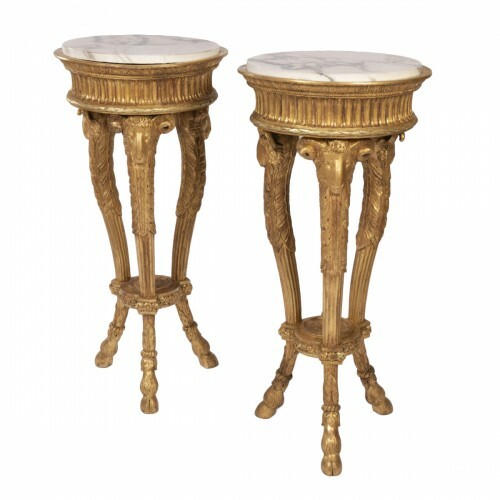 To these are added motifs in bronze: striated panels and caryatids with female busts. 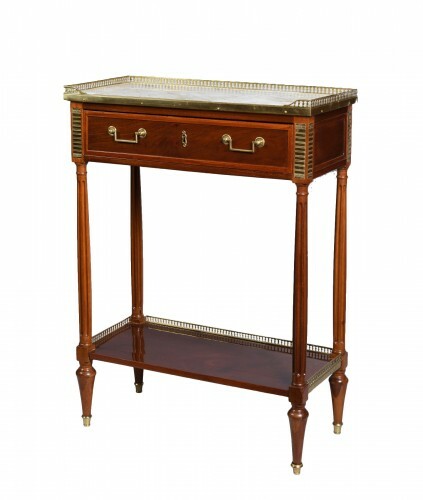 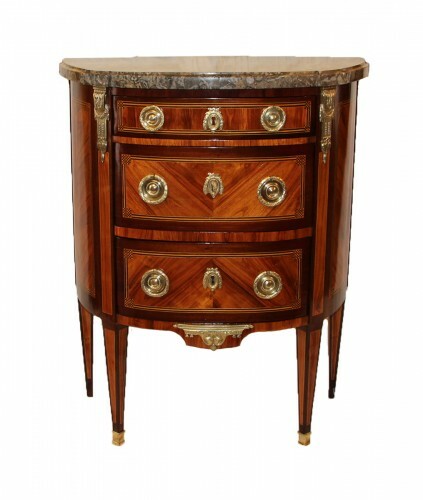 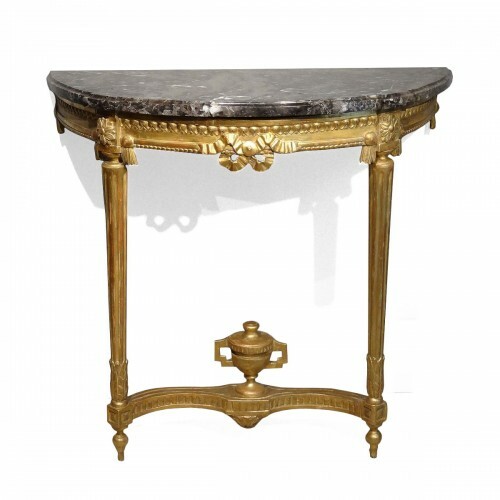 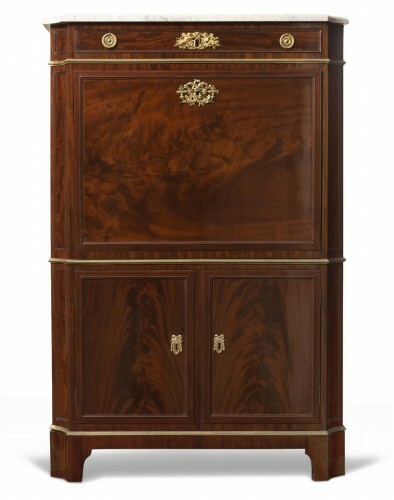 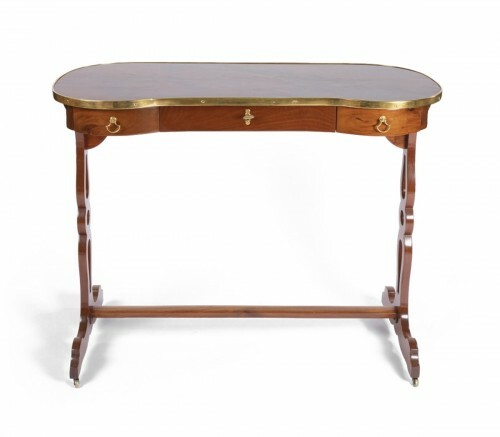 The marble top remains a classic feature of Louis XVI furniture. 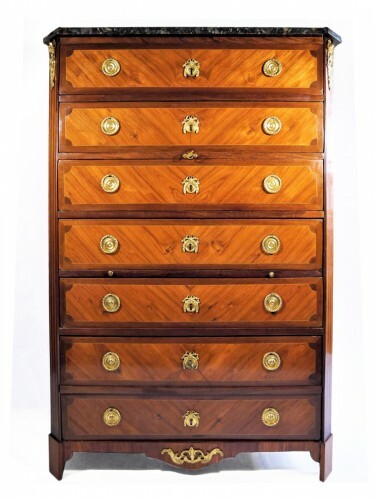 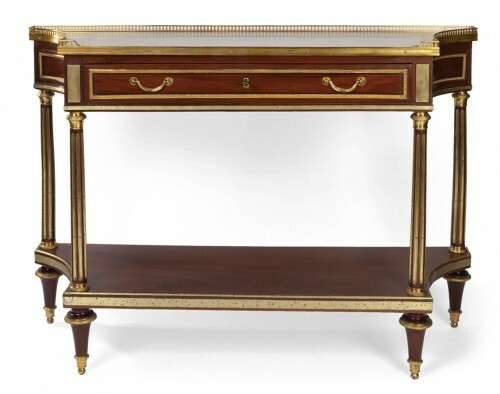 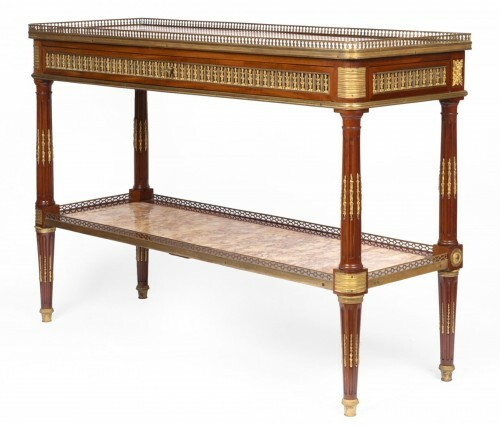 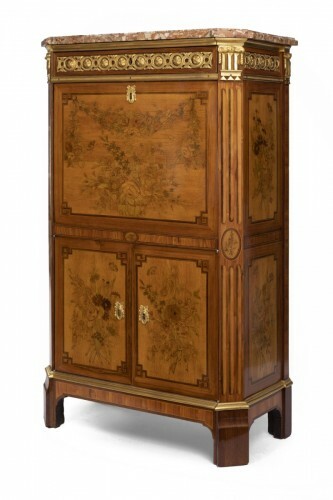 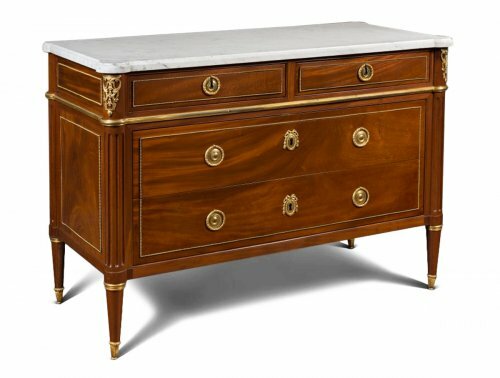 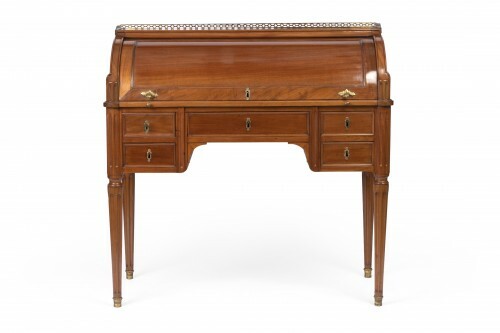 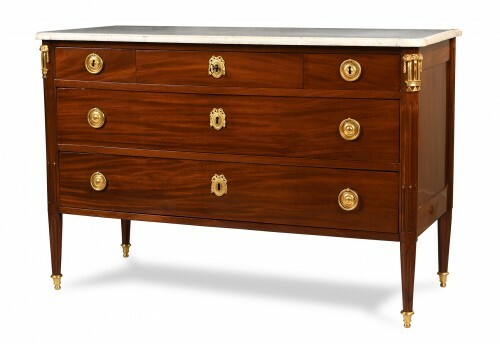 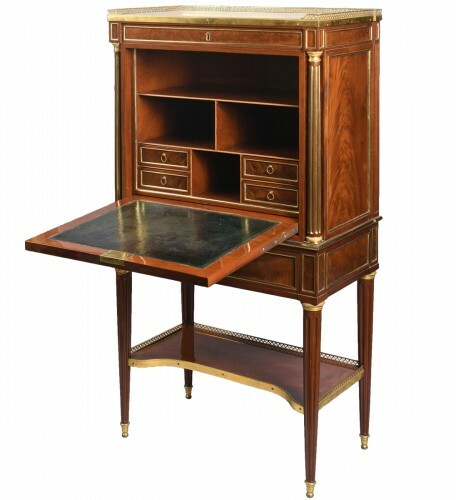 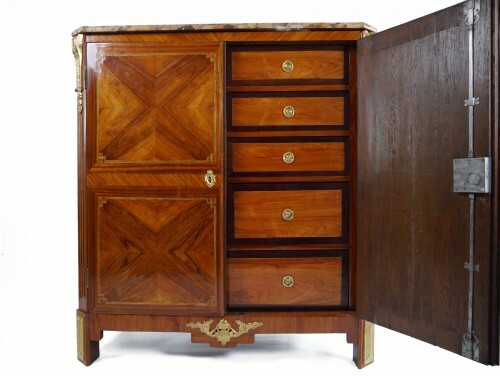 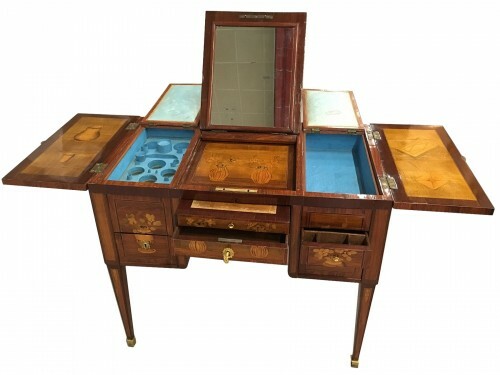 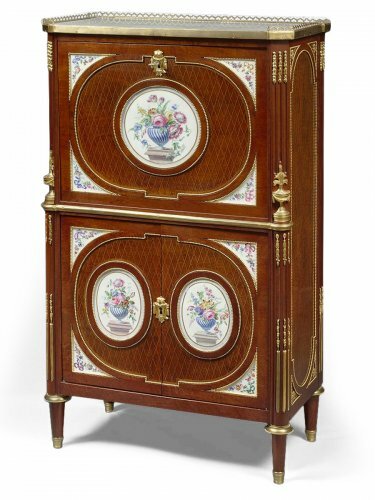 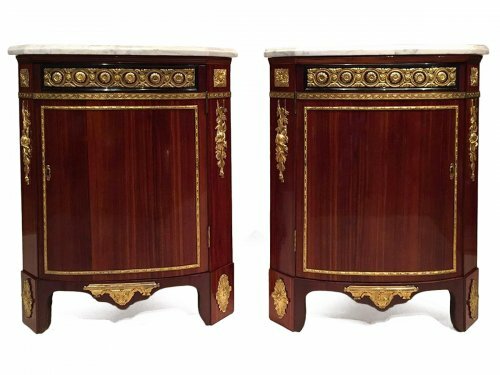 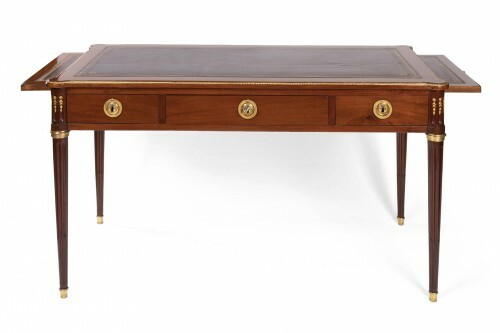 Also making their appearance are Sèvres porcelain plates, the demi lune chest of drawers, the bonheur du jour ladies' writing desk, and the convertible seatback.